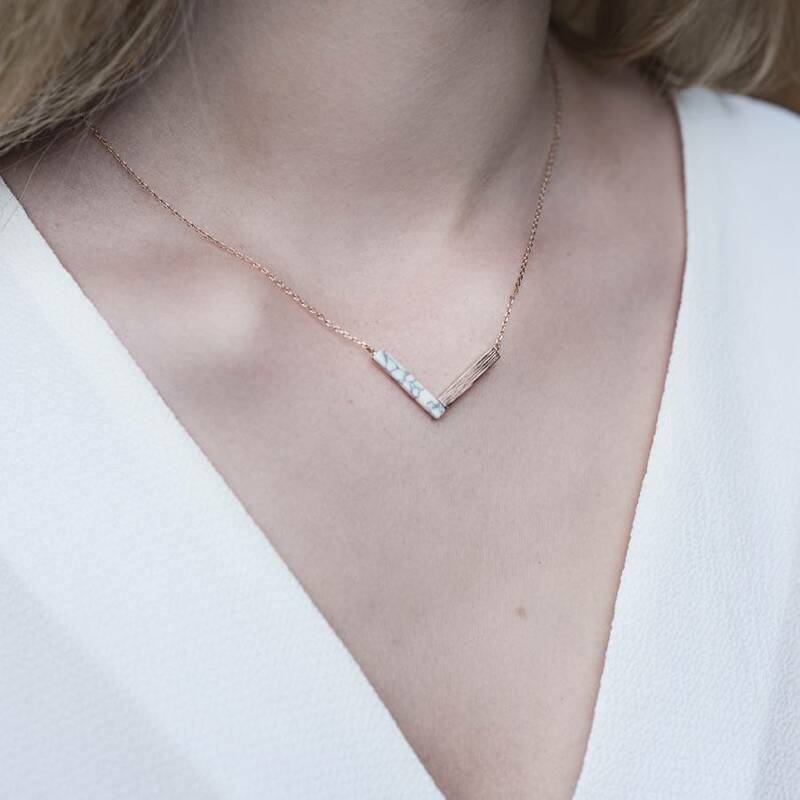 Love our chevron jewellery? Then you'll love this marble and rose gold beauty! From the Lisa Angel Delicate Collection. 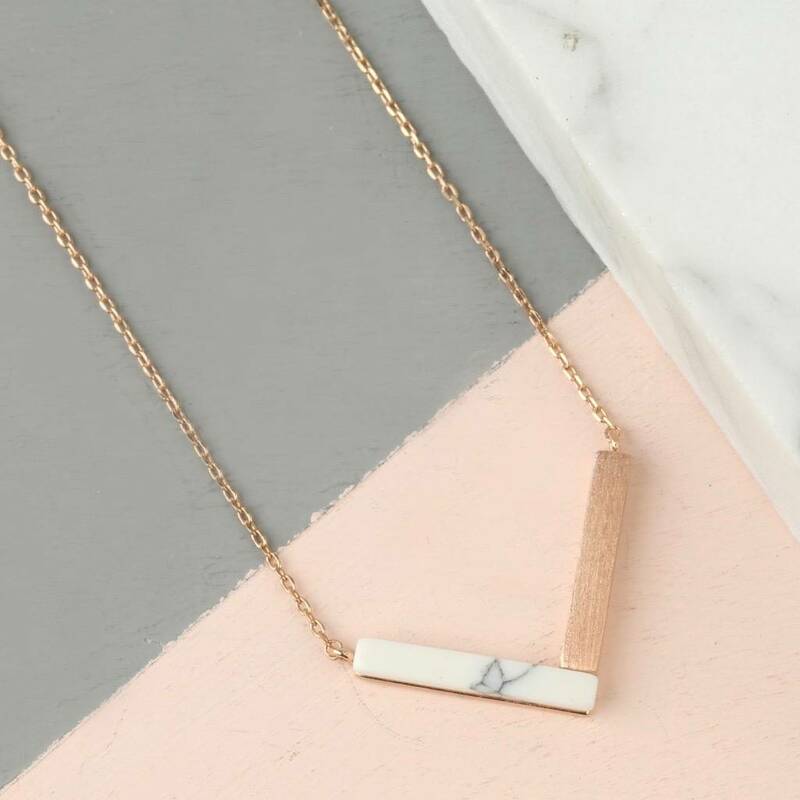 A current update on our chevron jewellery pieces comes this marvellous marble necklace. 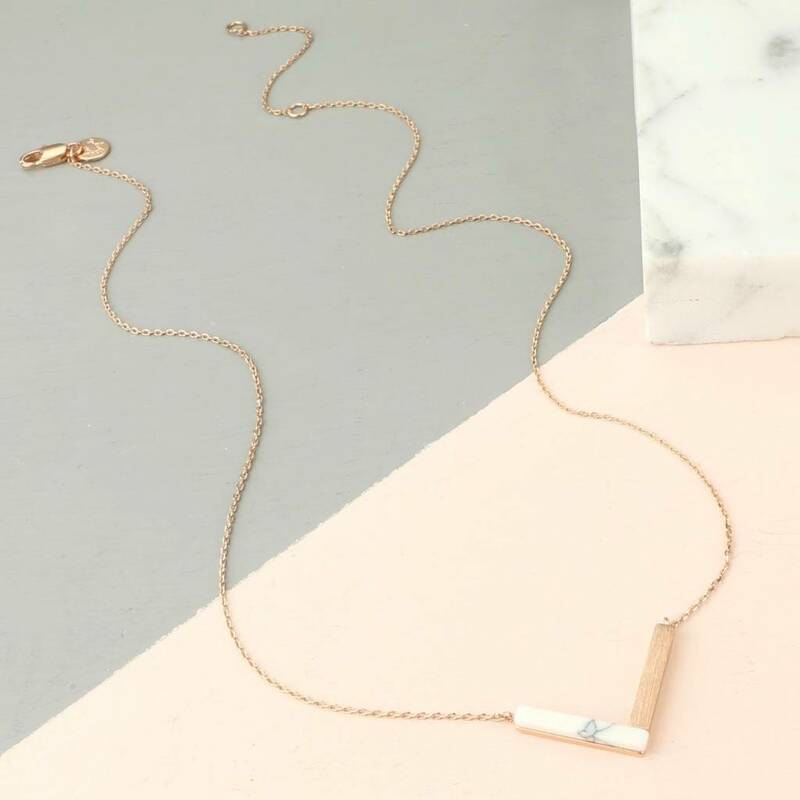 With half of the chevron formed by brushed 14ct rose gold plated metal, the other half is mounted with white howlite stone. Strung from a delicate fine trace chain, two link rings on the end of the chain allow you to choose the length your prefer to wear. If you are all about marble, then this necklace is just the piece for you!